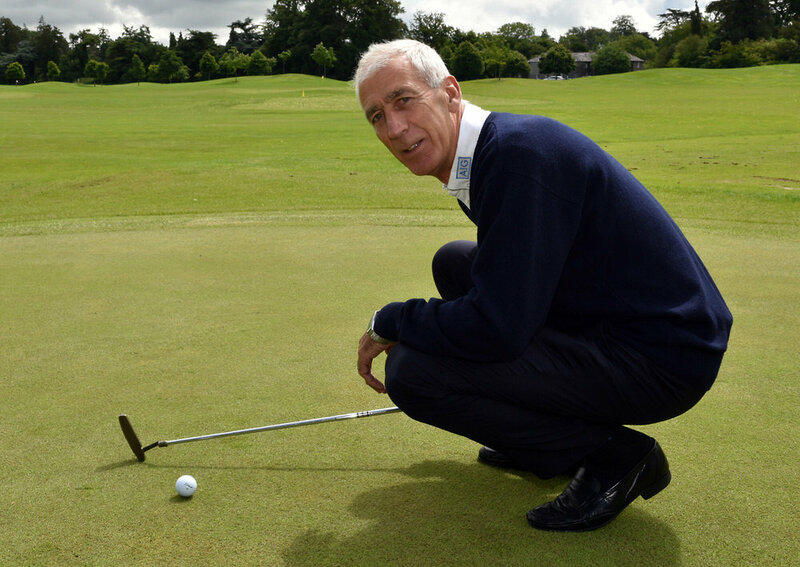 A roving right corner forward with that legendary Dublin football team of the 1970s, Bobby Doyle swapped gaelic football for golf and remains as highly competitive as ever. As he celebrates the 40th anniversary of Dublin’s 1976 All Ireland victory, he has high hopes of more joy for the Dubs this year. 1 How did you get started in the game? “I started because everyone at work played golf and they were getting time off to play so I said I’d give it a go. It was the late 80s — I was in my 40s at the time — and I went for an office day out with Avis Fleet Solutions and never really looked back. The first place I joined was the Christy O’Connor club when it was in Hollystown. I got into Clontarf as a five-day member and eventually a full member and I just loved it. I went from a handicap of 23 down to eight in just a few years. I’m off 10 now, but I still love it. 2 What was so special about that Dublin team and Heffo’s Army? 3 How would you describe your football style? 4 What’s your best score on the golf course? 5 What’s your career highlight on the golf course? 6 What do you think when you hear of guys choking? “You are going to make mistakes and you just have to put them behind you. It’s the same in football as it is in golf. I was a selector with Dublin and if you’d see a fella making a mistake and people would be giving out and saying, take him off. But I’d say, leave him. It’s just a mistake. It’s part of sport." 7 How often do you play golf? 8 What the favourite club in your bag? 9 What’s your most memorable shot? “I hit a good one in the Jimmy Bruen against Hollystown, a three iron to two or three feet at the 11th. The birdie put us ahead in the match and we went on the Leinster semifinals. 10 Who’s your favourite golfer? 11 What’s your favourite major? 12 What’s your dream fourball? 13 Why did you wear your socks around your ankles when you played for the Dubs? 14 Any similarities between golf and gaelic football? 15 Who is your favourite sportsman? 16 Is there a mulligan you’d like in sport? “I’d probably like another go at that short putt that cost me the captain’s prize the second time. It was about three feet and I pushed it." 17 Who do you fancy for the All Ireland Football title this year? “It’s very hard to bet against Dublin. They’ve a fabulous squad of players. I love the way Jim Gavin changes the team around and brings in new players. At the moment they seem to be winning matches fairly easy but September is when we want them playing well. This feature first appeared in the Irish Independent's Thursday, Tee to Green supplement on 8 July 2016. Tee to Green returns after a two-week Christmas break on 5 January 2017. A quick 18 with Christy Roche: "It’s important to win right, and to lose the right way too"